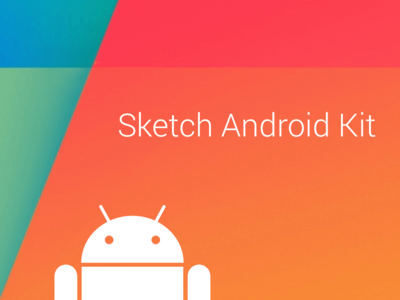 Introducing Sketch Android Kit—the Android GUI template made for Sketch 3. This was more of a learning exercise that turned into a project, as there doesn't seem to be a comprehensive, up-to-date UI kit for Android out there (and that's counting the official PSD stencil kit). It's nowhere close to done, but is definitely usable and will get frequently updated. I've also kicked this project into "open source" gear, so you can follow new releases, file issues, and even help me improve the document on GitHub. Android seems to get the short end of the stick when it comes to design resources. This is a small attempt to change that.